When you are moving for the first time, you probably think it will not be that complicated. However, as time goes by, you realize some things take more time than you thought. At this point, you start thinking about whether you will manage to do everything on time and you wish you had started the whole process much earlier. But, the last thing you should do is to start panicking. So, in order to help you go through the process of moving, here are some tips on how to deal with moving stress. It is much better when you know what to expect and from where to start. During the first few days, you will be excited about the move. And this is something you should hold onto as long as you can- preferably, up until the moving day. But, this feeling tends to fade away the moment you realize you are running late. It is advisable to be prepared for this scenario. Even though you make sure you start planning and packing on time, it is a great probability you will start feeling stressed at some point. In order to avoid this from happening, or at least to minimize it, you should know how to deal with moving stress. You will only overcome it when you accept it. This is a normal part of the moving process- it is a response to a demanding circumstance. Be aware of the fact that something may not go according to the plan. This will help you continue with the tasks. Not having enough time is something that can have a great impact on moving stress. Of course, you should prepare yourself for situations like this on time, in order to find the best solution when they happen. One thing you can do is to think in advance and make an estimate about how much time you will need for a certain part of the moving process. First, think of all the things that need to be done and how much time you would need, like hiring movers, packing, etc. Make sure you add several hours for each part- it is better to be on the safe side. This you should do especially if you are moving cross country. An additional piece of advice would be to do everything on time, or according to plan. Do not leave things for last moment since you will feel more frantic. Having to take care of literally everything is not just time-consuming, but also stressful. When you are thinking about how to deal with moving stress, the first thing you should is to hire professional movers. Evolution Moving Company DFW can be of great help. In case you think packing and unpacking will take much time, the moving company can do it for you. In this way, you will have much more time to do other things that require your involvement. Just make sure you have found a reliable and trustworthy company- this will greatly affect the level of moving stress. It is all right to ask for help when you are in need. This means that you should not call people to help you when stress is already there- do it beforehand. Once you decide to move, inform your friends, family, and neighbors about it. Also, ask some of them to help you with it. Even if they come to your assistance only during packing and unpacking, you will realize this will minimize the stress of moving. In addition to this, those people will distract you and you will be able to relax- at least a little. In the end, make sure you show gratitude to them. Make dinner, for example, or return the favor when the time comes. Changing your place of residence brings with it the feeling of excitement. You will be living somewhere else where everything is new and interesting. You will be in a position to explore the new neighborhood and see what it has to offer. So, whenever you start feeling anxious or being stressed about the move, just think about what are the opportunities your new home has to offer. This is going to be a new start for you, so, because of this, you should look forward to moving. It is yet another way how to deal with moving stress. Just stay positive and embrace all the wonderful things that are yet to come. Maybe the decision to move was yours, maybe it was not. Even if the latter scenario is the case, and you cannot change it, complaining will not be of great help. The best thing you can do in this situation is to change your viewpoint. You will meet new people, make more friends and have new experiences. If you do your best, you will create an even better life than the one you are leaving behind. So, just think of the good things that can happen and the level of moving stress will lessen. In case you need to move out of your home and go somewhere else, you need to know that it will not be as simple as it sounds. You will need to take care of many things, like finding a mover, packing your belongings, cleaning, etc. The longer the list, the greater the stress level. However, this does not have to be that way. 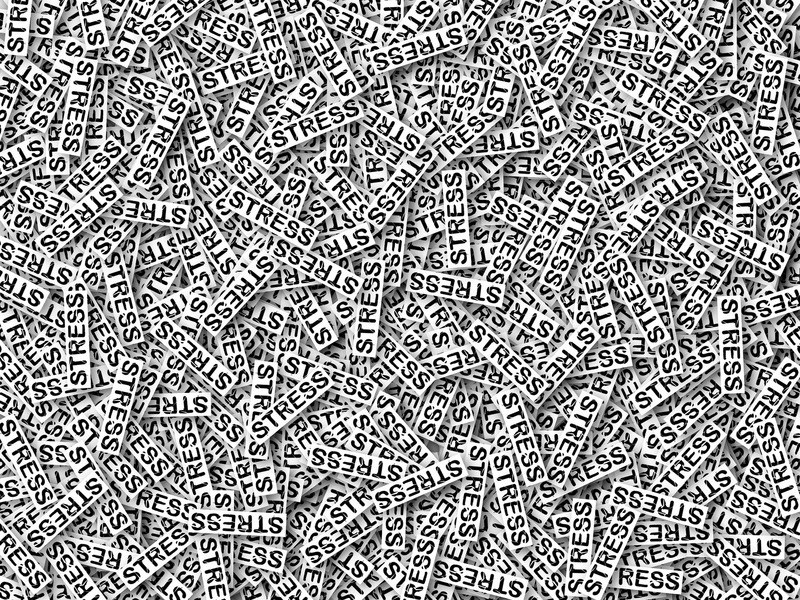 There are many things you can do to avoid getting stressed, at least to a certain point. Here we have provided you with several tips on how to deal with moving stress; hopefully, they will be helpful and you will be in a position to go through the whole process with excitement. 0 responses on "How to deal with moving stress?"